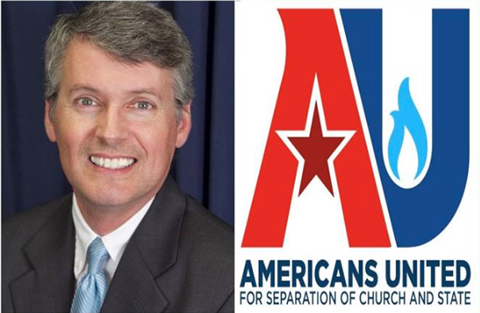 Americans United for Separation of Church and State (AU) is a national nonpartisan educational and advocacy organization dedicated to advancing the constitutional principle of church-state separation as the only way to ensure freedom of religion, including the right to believe or not believe, for all Americans. AU envisions an America where everyone can freely choose a faith and support it voluntarily, or follow no religious or spiritual path at all, and where the government does not promote religion over non-religion or favor one faith over another. Grab something to eat in the food court and join us for a conversation about the work of Pascal Boyer, or recent events, or whatever else might be on your mind. All Rutgers students, faculty, and staff are welcome to join the dialogue. Please join us to hear about recent work in the cognitive science of religion with Dr. Julien Musolino, a Rutgers professor of Psychology and Cognitive Science, and author of the 2015 book The Soul Fallacy: What Science Shows We Gain from Letting Go of Our Soul Beliefs. 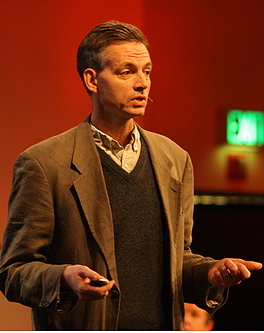 Dr. Musolino also teaches a Rutgers undergraduate course entitled “The Religious Mind” and serves as a faculty advisor to the Humanist Community at Rutgers University. Make Your Voice Heard in the Political Crowd: An Evening with Sarah Frey of the Secular Coalition for America. Sarah Frey, a lifelong NJ resident, will share many ways in which YOU can make the biggest impact by registering voters, holding your Members of Congress Accountable, and “crashing” your political party. The Secular Coalition for America is non-profit lobbying organization which focuses on the First Amendment right to separation of church and state, and represents atheists, agnostics, skeptics, freethinkers, and all non-theists. Come meet your lobbyists in Washington and see how the grassroots movement gets its game! *Apologies to those receiving this flier twice this week. We’ll try to limit our event announcements in the future. Missed the Common Ground Conference? Here’re Some Videos! This event is co-hosted by the American Humanist Association and the Xaverian Missionaries, with local support by the Humaniist Chaplaincy at Rutgers. For more information and a list of speakers and events, please check out the website and Facebook page. To register, please use the link. Announcing the COMMMON GROUND 2015 Conference. Do we have a Soul? Christianity and many other religions claim we do – but of course you have to have faith. But do we really? 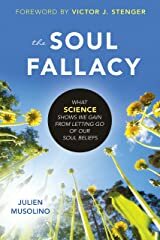 Rutgers Professor of Psychology Julien Musolino, a member of the Humanist Community’s Faculty Board of Advisers, argues in his new book The Soul Fallacy that science can investigate the question of whether or not we have a soul, as defined by these popular religions. Further, he argues that the verdict comes back with a resounding “No, we do not have a soul.” Pressing the issue even more, this actually turns out to be a good thing! For more, check out this interview with Prof. Musolino on his book by Rutgers undergraduate and Applied Sentience staff writer Leo Kozachkov. Students, alumni, and friends in the New Jersey area! Make sure not to miss Susan Jacoby, Pulitzer Prize nominee and author of The Age of American Unreason and Freethinkers: A History of American Secularism, who will be speaking with The Red Bank Humanists on January 11th. During the summer thousands of incoming students – both Freshmen and Transfers – come to scheduled Resource Fairs on Livingston to learn all about the plethora of opportunities available to students. The Resource Fairs are only for administration and non-student groups, like Chaplaincies. If you’re interested in helping out and joining us while we answer questions about HCRU and Humanism then let us know. We can’t take that many volunteers because of space, but we could certainly use some help. Students are more than welcome to volunteer or stop by to say hello! A couple of months ago, the Humanist Community at Rutgers was invited to be part of a inter-religious panel discussion on ‘Forgiveness.’ The invitation was sent by members of the Rutgers Hindu Student Council, who organized the event, to representatives of religious groups… and to us. The event held this past April 24th was part of the 150th anniversary of the Council for a Parliament of World Religions.